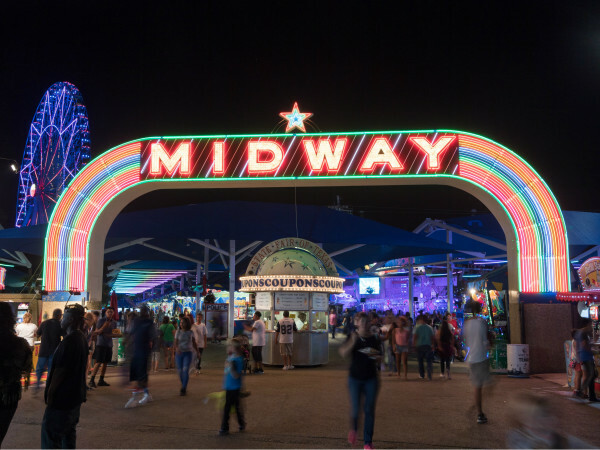 One of the best known vendors at the State Fair of Texas has a surprise for the 2016 fair that evokes a spell of old-time carny nostalgia. 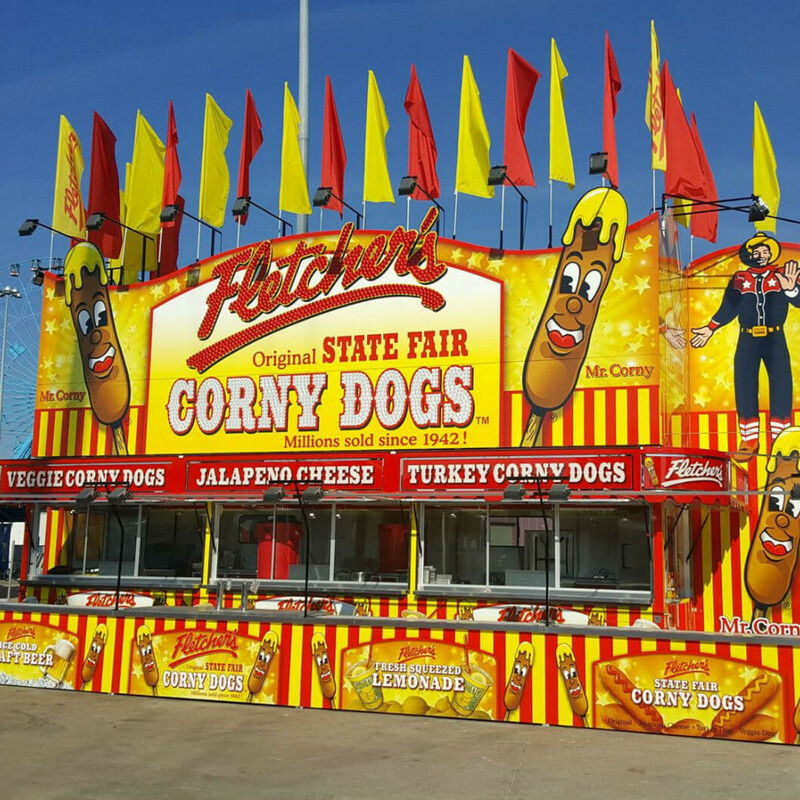 The vendor is Fletcher's Original Corny Dogs, maker of the fair's trademark hot dog engaged in a cornmeal crust. 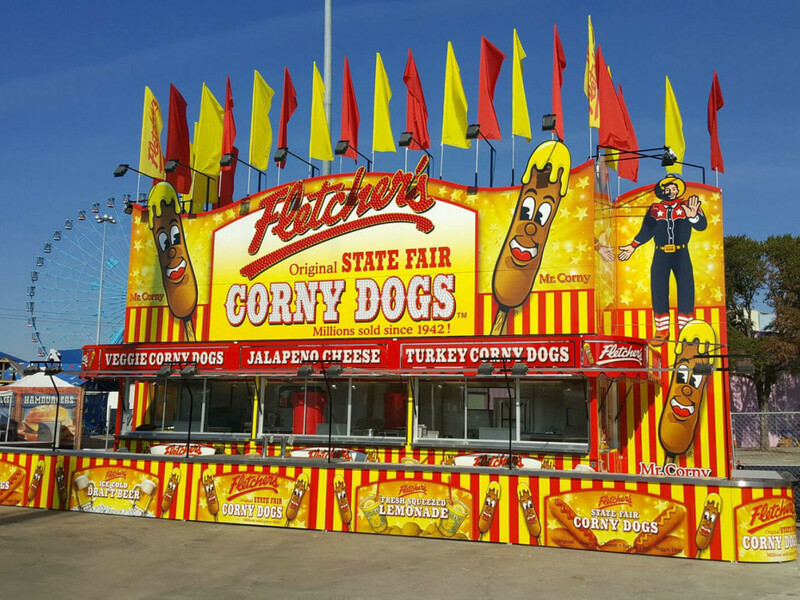 The surprise: a new concession stand that you could almost call tasteful, at least by the raucous standards of State Fair design. It'll be Fletcher's seventh location, but it's one into which the Fletcher family poured their heart and soul, says proprietor Gigi Fletcher. "We've been asking for years for a new location, and we finally got a shot," she says. "Last year, they started a new area by the extreme rides, where there were three concession trailers, including a funnel cake place and a barbecue place. The president of concessions said, 'Well, if you want to build a concession trailer ...' my husband said, 'Yes, we'll do it.'" The family spent four months getting it built, she says. "I think we're excited because we took some creative liberties," she says. "It doesn't look like your ordinary concession trailer. There are none of the usual pictures of the menu. Instead, we had some fun and made it about Fletcher's, with a vintage look, with red and yellow flags, and a counter outside to serve from, and 'Fletcher's' in LED lighting that'll look cool at night." 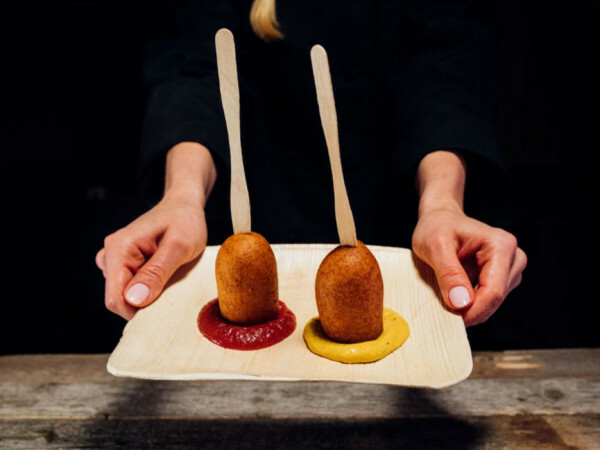 The new booth follows up on their revolutionary release from 2015, when they introduced a vegetarian version of their famous corny dog, an invention that set the state fair world on fire. 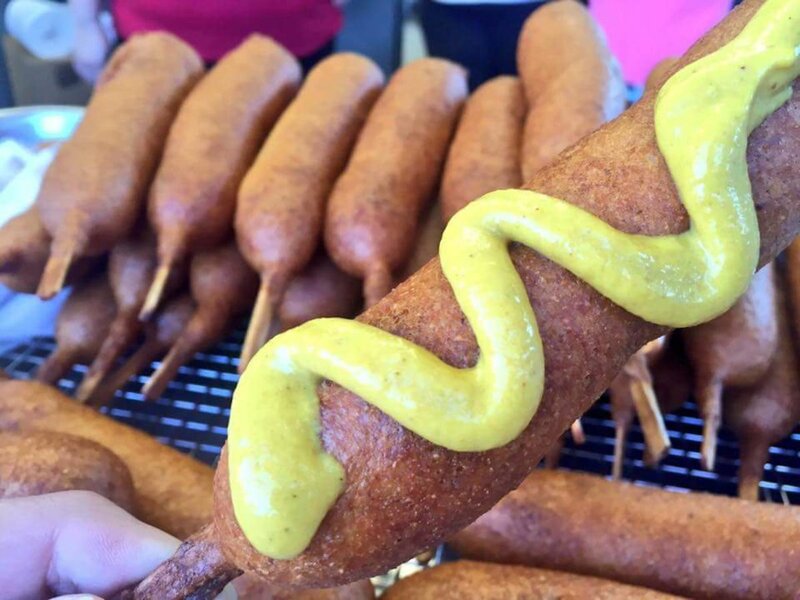 The new booth will have the complete corny dog lineup, including the original, the turkey hot dog, the corny dog with jalapeño and cheese, and last but not least, the veggie dog. "We will have our veggie dog. 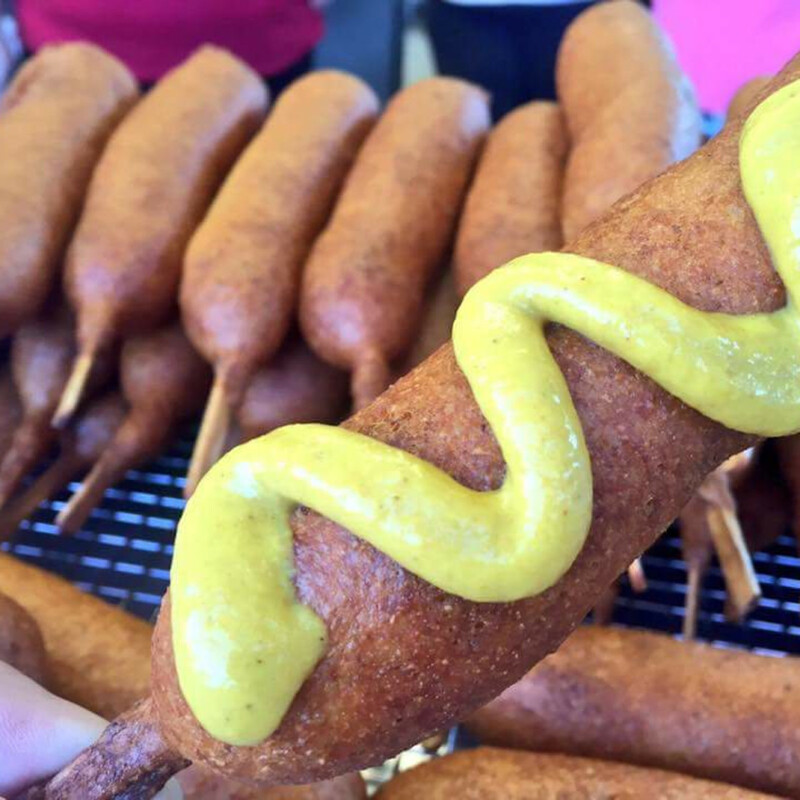 It's a vegetarian hot dog, not vegan, because it's dipped in our famous batter," she says. 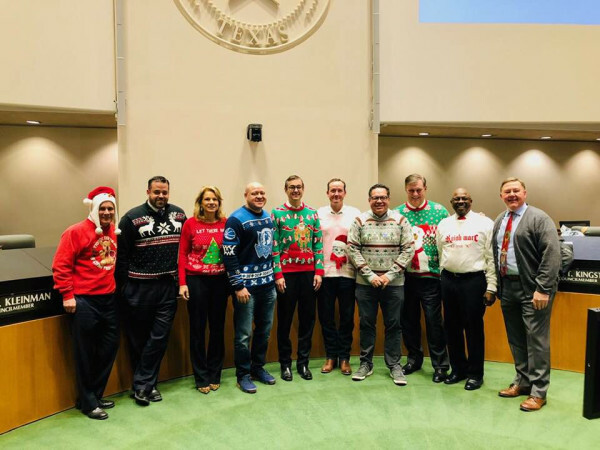 "It'll be available at all of our Fletcher's locations this year. "The veggie dog turned out to be such a nice surprise," she says. "Even when I'd be out walking the grounds, people would come up and ask about it."